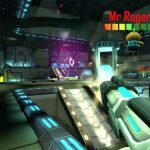 First-person shooter titles are one of the most popular types of games when it comes to mobile devices, and the guys from June have created another captivating and exhilarating FPS. MaskGun is a real-time multiplayer game which will allow the players to explore different locations and to fight against spooky goons. The game offers three different modes, but there are numerous additional reasons why you should try out the MaskGun. Our MaskGun guide is here to take you through the gameplay, and we hope that our 9-point list, including tips, cheats and strategies, will help with overcoming the tasks. Also, the game itself contains tutorials, which will further assist with getting a better understanding of this exciting 3D game. MaskGun can be played with your friends, and there is also the possibility of forming a clan or joining a previously formed one. All in all, this game will provide you with hours of entertainment, and here is how you can climb the Leaderboard and become the most ruthless desperado out there. With that said let’s move on to our MaskGun tips, cheats and strategies! 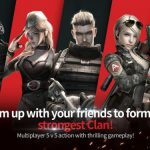 As we just said, MaskGun is a captivating FPS, and all the action will quickly make you addicted to the adrenaline rush which you will experience while playing this mobile game. The graphics of the game are also top-notch, and they additionally help in providing the players with a pleasant gaming experience. With all that in mind, we assume that the players will not have a hard time wanting to go back to the game, and immerse themselves in the MaskGun gameplay. The importance of regular visits comes mostly from the fact that MaskGun offers a lot of rewards and gifts to the players who play the game on a regular basis. 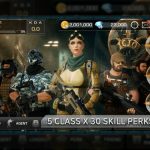 With those freebies, the players can upgrade their gear or buy more efficient weapons, which subsequently leads to better results and more kills. MaskGun offers login rewards, as well as battle cases which reward the players with all sorts of stuff. Either way, we advise the players to go back to the Arena every so often and to help their teammates fighting the creepy and bloodthirsty mercenaries. We all love free stuff, and MaskGun is also one of the games which offer a lot of gifts and rewards. As we said in the previous tip, regular visits will allow the players to collect Login rewards and other incentives, but the battle cases are an additional benefit that should not be ignored. These cases come in two categories – free and paid, and the players should collect as much of them as possible. Furthermore, additional cases can be acquired by watching videos, and we advise the players to invest 30 seconds of their time watching an ad since this can result in a highly valuable bonanza. The battle cases can be found on top of the welcome screen in MaskGun, and the players will also notice a red notification sign when a new case becomes available. Once you notice such a sign, do not hesitate to visit this section and collect the prize. The rewards come in the form of diamonds, gold, grenades, and medkit, and all of these items are crucial for success in the game. Some battle cases will require time for opening, and these periods can last from 3 to 12 hours. As we mentioned earlier, 30 seconds of your time can be enough to present you with a sizable reward, and that is why we suggest that you watch advertising videos and collect the loot. For instance, MaskGun is a pretty generous game, and they offer to double the gifts you receive from opening different types of battle cases. In other words, the XP points and the gold you obtain can be easily doubled, only if you decide to sit down and watch an ad for a short period of time. The battle cases and other forms of honors you receive when playing MaskGun are important because they directly affect the gameplay. The gold and the gems you acquire can be of use when buying upgrades or boosts, or when adding a new item to your inventory. With that being said, it is easy to see how it makes a lot of sense to watch videos and double your prizes. By collecting a lot of XP and gold, the players can go into the battle arena with superior firepower and highly durable armor, which inevitably leads to a better score. The better the score – the more XP and gold you receive after every mission! Once you set this cycle in motion – the game will become a joy and you will play MaskGun for hours on end! During the beginning stages of the game, the quality of your weapons and the lack of experience with MaskGun maps will have an effect on your overall score. Of course, the game will randomly assign other players to the game, and you could be placed in a team with top-class warriors, but at the same time – you could be up against elite assassins. That is why additional assistance plays a big part in MaskGun, and the boosts are a great opportunity for players to maximize their chances when entering the battlefield. The boosts are located in the Store section, and they come in three categories – Spark, Molten, and Void. Admittedly, their names do not tell much, but the most important thing about these improvements is that they increase the damage points you will deal on an enemy. Depending on the type of boost, the players can increase their DMG points by 5%, 10%, or even 20%! Unfortunately, the boosts have a limited duration, and they will enhance your fighting skills for 2, 12 or 24 hours, respectively. However, the boosts do not come for free, and their prices range from 12 to 90 precious stones, which are one of the in-game currencies when it comes to MaskGun. All of the previous tips in our MaskGun guide have been related to the things which should be done before or after the actual shooting and killing. However, we know that the majority of players really want to learn useful tricks for catching the opponents off guard and making easy headshots. Luckily, we are here to help, and one of the most beneficial advice we could give you is to always keep an eye on the map! Even if the topography is not your expertise, the map in the top left corner of the screen will significantly increase your chances of making the most kills and helping your team reach 300 points first, which is one of the requirements for the win when playing Team Deathmatch. The little round chart in the corner is an ally which will help you locate the enemies. The white dots signify that the character in question belongs to your team, while the red moving dots need to be hunted down and eliminated at once. Once you get a grasp of using the map to your advantage, you will become a formidable force in the Arena. When playing MaskGun, the players can choose between three different modes – but the most common ones are Team Deathmatch and the Bomb Defusal. Also, the actual gameplay can take place in six different locations, and all of them will offer a specific environment full of unique opportunities. Locations such as The Yard, the Airport or the Ryokan will make PvP battles even more exciting. 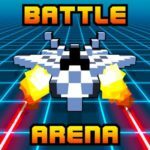 However, all of those modes and arenas have one thing in common – you always need to pay attention to the scoreline and the timer. The goal of every game in MaskGun is to complete a task within a predefined amount of time. For instance, your team needs to reach 300 points before the other team gets to the same milestone, but the duration of the mission for both teams will be limited to five minutes. The Bomb Defusal missions work in a similar way, and all of these modes require constant thinking and the use of proper strategies. The timer can help you learn if the time is running out, and if you are losing at the time – make your tactics proactive and engage the enemy with ferocity! Since MaskGun provides players with a range of weapons, the shots that hit you can be severely damaging. No matter if the opponents are using a rifle, a sniper, or a melee weapon – you health and armor bar will go down in a flash if the enemies are skillful enough. Of course, the game offers certain evasive maneuvers which can help you get away from the immediate danger. For instance, can use the arrow pointing upwards on the right-hand side to jump away, or you can duck down and hopefully kneel behind a barrier which will hide your body. However, the most efficient assistance during those tough times comes in the form of a medkit. The big plus sign on the right portion of the playing screen will inject a boost of health points into the health bar. By using the medkit, the player can recover and prolong the fight, and even make a few additional kills along the way. That is why we recommend using the medkit whenever the players feel the need for additional health. Unfortunately, the healing powers of the medkit do not extend towards the armor, and the players will be left without their shield once the enemy takes it down. The arenas in MaskGun are relatively small, and they do not provide a lot of open space, with the exception of the Airport where the large hall provides little protection and where the sniper attacks can be deadly. All the other maps are pretty crowded, which leads to inevitable close encounters with the enemy. Needless to say, the vigilantes are always pointing a rifle at your face, and these moments require both instinctive and intelligent decisions at the same time. Once the enemy comes within range, the most devastating weapon you can use is the grenade. By launching the bomb, you can gain a significant advantage, simply because the enemy will have to move away from his current position. On the other hand, if he chooses to remain in the same spot, the detonation will do the trick and you will have one more kill to add to your overall stats. However, the number of grenades per game is limited, and the players can only throw up to four of them during a battle. We recommend that the players first locate the opponents on the map and then launch the bomb on the unsuspecting enemy. With a bit of luck, the explosive will do the job! PvP battles are highly exciting and impressive, but after a while – the players usually manage to differentiate several dominant patterns of behavior of their enemies. What we mean by this is the fact that you will quickly learn that certain positions offer better chances of killing the enemy. Headshots are especially rewarding in MaskGun, and that is why we advise the players to always look for a way to flank the opponents and shoot at them from the side. Even better, most enemies will just charge straight forward and engage with your teammates directly, which will allow you to calmly make your shot. By discovering the best route for an attack from the sides, you will gain an important advantage. Also, your teammates will move forward on the map, allowing you to make more pressure on the enemy and reduce their chances of finding a good shooting spot. In short, the goal of flanking is to ambush the enemy and advance in position, and that is why we urge the players to always avoid going down the middle of the arena since this leaves them vulnerable to enemy attacks, especially the lethal sniper bullets. With the final tip in our 9-point MaskGun guide, we conclude our list of useful tips, cheats and strategies for the game. If you have any ideas about similar efficient methods and tactics for playing MaskGun, please leave us a comment down below!